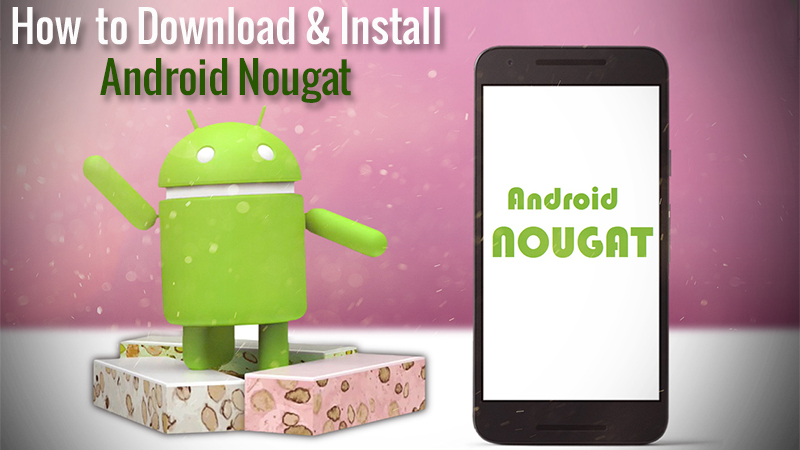 After a long wait, Google has finally launched Android Nougat. 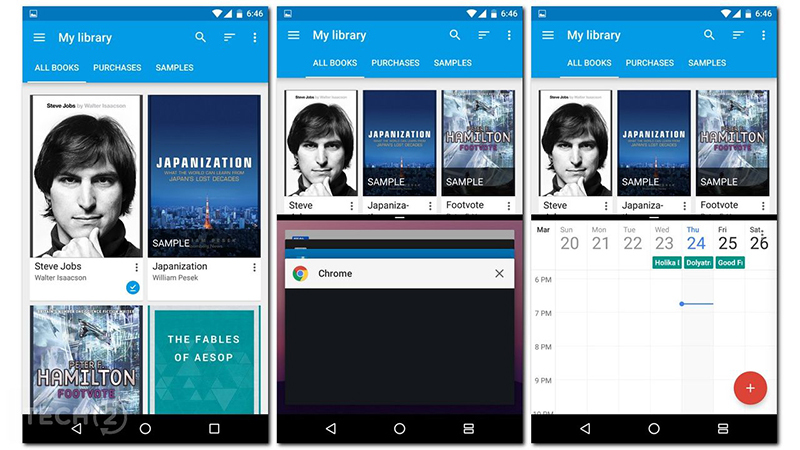 The new updated Android version 7.0, as of now available only for limited devices like Nexus 6, Nexus 5X, Nexus 6P, Nexus 9, Nexus Player, Google Pixel C and Android One devices. Shortly, the other devices like HTC 10, HTC One A9 and HTC One M9 may get this update in a few months. The users just have to keep an eye on the release date of Nougat for their devices. The latest and high-end devices are likely to taste Nougat sooner than others. The upcoming premium Android smartphones like LG V20 and new Nexus smartphones will be fueled with this latest updated version of Android. So, if you are planning to grab one of those gadgets, you don’t need to worry even a bit about the update. Android Nougat comes with a number of new and enticing key features, which makes it worth getting. It comes with a lot of new highlights like the ability to reply the notifications directly without even leaving your working screen, a new quick setting menu and multi- tasking Window mode. Apart from this, the updated OS version flaunts a better battery saving with Doze Mode and normal performance improvements. Here are some steps by which you can taste all new Nougat without jumping through too many hoops. You should have a complete backup of your device before starting the entire process. The users may not want their devices to be hanged in the middle of the process, as this is a software program and things can go wrong at any point. Well, don’t worry about this, we just want you to take some precautions first. However, this is the finished and stable version of Android Nougat, so you don’t have to think much about it. By backing up your device, if anything goes wrong in the middle of the process, your device will revert back to its previous version of OS easily. Make sure that your handset’s inbuilt backup feature is enabled. If not, then go to ‘Settings’>’Backup and Reset’ and check both ‘Automatic Restore’ and ‘Backup my data’. There is one more way by which you can backup your device, by plugging your smartphone into PC via USB cable then copy the contents of DCIM folder present in your device to your computer. 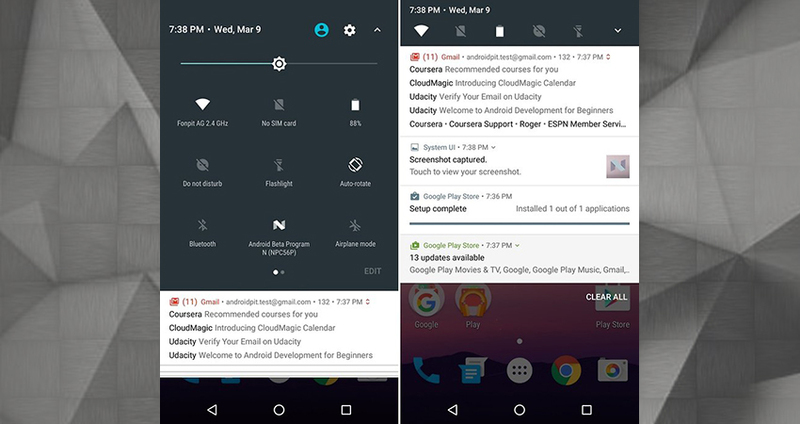 For getting enrolled in Android Beta Program, open the browser of your Nexus device and go to Android Beta Program. You’ll be asked your Google account login. 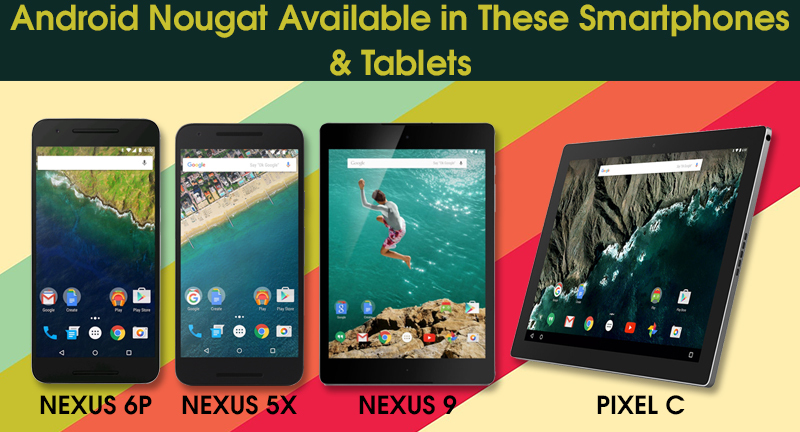 After logging in, scroll down at the end of the page, You’ll find a heading ‘Eligible Devices’ with any compatible Nexus devices that are also signed into your account listed below. Find your Nexus device and get enrolled by selecting the green ‘Enroll Device’ button. Click the column of ‘Agree on terms and conditions’ and then click on ‘Join Beta’. A message will then pop up on your screen that your device has been enrolled and you will get an OTP notification for a system update. Click OK. Your device is then enrolled in Beta Program. An update notification will ping up on your screen at any moment in 24 hours. If you don’t receive any OTP notification, check that you’re connected to the Internet, then go to Settings>About>System Updates>Check for Updates. If you have manually flashed your previous version Marshmallow, then that is the thing to worry because you will get a notification that you verification has failed instead of getting an update notification. You will then need to install Android Nougat manually on that device. Download and install the latest version of Android Debug Bridge (ADB) tool on your PC. This will install the latest version of ADB, which is accessible by using command prompt on your PC. By following the given steps, you have to add the folder where ADB is installed to the Path: Right click My Computer>click on Properties>click on Advanced System Settings. Click on System Properties>Advanced>Environment Variables. A window will appear, In that window select path then Edit, then write the name of a directory where SDK is placed, and keep in mind that each and every entry is separated by the semicolon. After that, you have to enable USB debugging on your device. For that, you’ve to head to Settings>About Phone>Software information. Tap on Build Numbers seven times. Head on to Settings>Developer Options. Select USB debugging. Get the accurate OTP binary for your device. Connect your device to your PC via USB, and ensure that USB Debugging is enabled as mentioned above. Go to the command terminal and via ADB tool, execute the following: ADB reboot recovery. You will see the Android logo with a red exclamation on your mobile screen, which means your device is now in recovery mode. Now, hold the power button and press the upside volume key once, you will be shown a menu. Then you have to select ‘Apply update from ADB’ option given on the menu. Remember, the volume keys will help you to navigate up and down while the power button will be used to select any option. Execute the following command with the help of ADB tool via your PC: ADB sideloads (OTA file.zip). Replace ‘(OTA file.zip)’ in the command with the original name of OTA you’ve installed. Once the installation is finished, Users have to choose the option Reboot system now. These are the steps which will help you manually install the new Android Nougat. If your phone is verified and an OTP notification appears on your screen, then you have yo pull down the notification bar and select download. 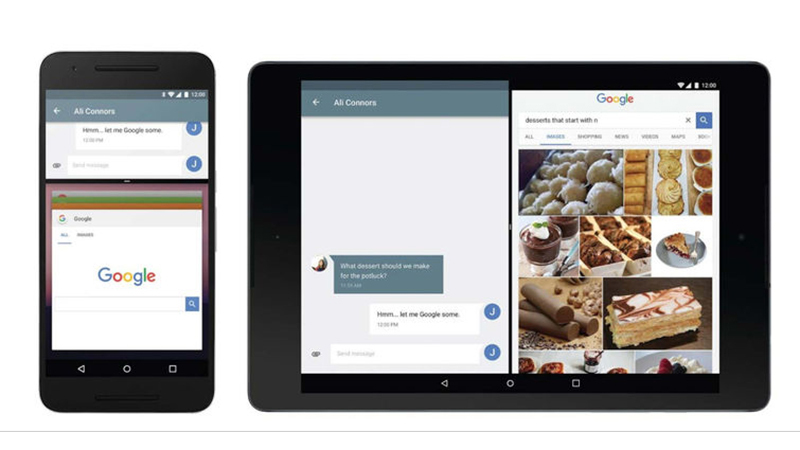 A window will appear, that window will show you a message that this will install a preview version of Android N onto your device, which will include new features such as multi-window and direct reply to notifications. The update will be of 850 MB in Nexus 6 and 1126.7 MB in Nexus 6P so make sure that you are connected to a Wi-Fi network. 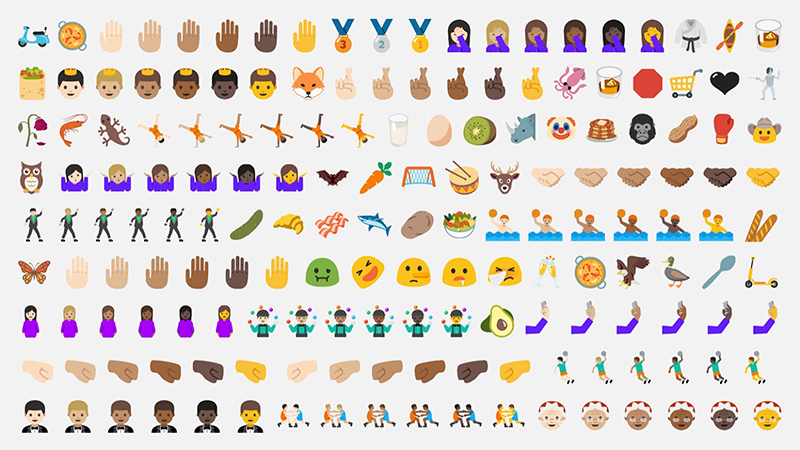 This will allow you to install the Android N Developer version. Click on Restart and Install to get started.